A Calgary-based company’s plan to build a $2-billion upgrading facility will boost productivity while cutting emissions, Rachel Notley says. Value Creation Incorporated is spearheading a partial upgrading project in the Edmonton area, which will create more than 2,000 construction jobs and another 200 full-time positions. Notley announced that a letter of intent has been signed with the company, including a $440-million loan guarantee that will help ensure the project goes through. While Notley has been a fierce advocate for getting Alberta energy products to Canadian tidewater, she has argued that new technologies are needed to get more out of each barrel produced in Alberta. The new facility will take 77,500 barrels of diluted bitumen per day and make synthetic crude and ultra-low sulfur diesel fuel. The process is more efficient than other processes, reducing greenhouse gases and saving money. The partially upgraded fuel also takes less capacity in pipelines, which means it’s easier to ship than other products. Notley says that climate leadership is about finding ways to make energy that’s not only better for the economy, but better for the climate as well. Notley took the opportunity to talk more about her Made-in-Alberta plan, which will see the government partner with companies to invest in new technologies like Value Creation. While vowing to fight for new pipelines and to get Alberta’s energy to world markets, Notley says the province can also grab the bull by the horns and do more right here in the province, ensuring the province is better positioned for the future. 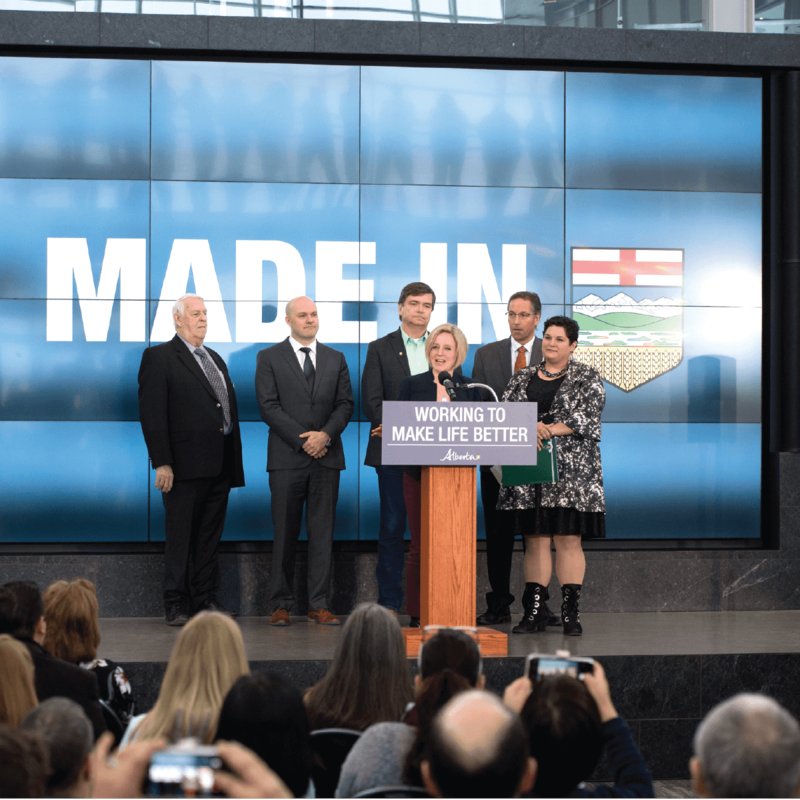 The Made-in-Alberta plan could mean $20 billion in new capital investment, better technology and good mortgage-paying jobs for Alberta workers.